peekaboo, little birdie! who's inside of you? friends. 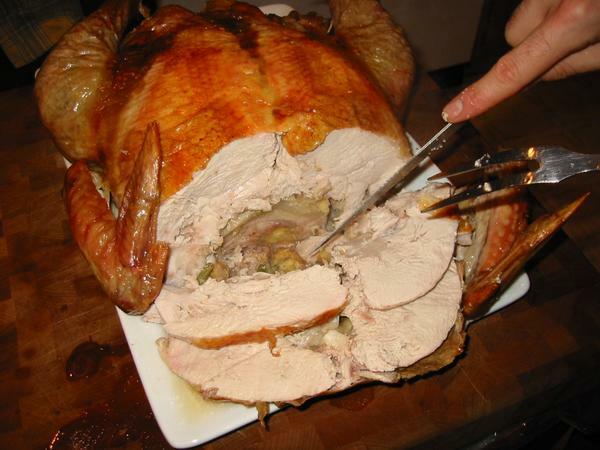 if you are at all like me you are completely obsessed with the idea of the turducken, even though you have never actually been afforded the opportunity of eating one. a chicken inside a duck inside a turkey! whoever first dreamed up this voltron-of-the-birds clearly deserves a nobel peace prize! ah turducken, High Priest of Poultry, you are truly awesome. nobody doubts that you are the mightiest of all winged feasts. you are fowl at fever pitch, the plucked embodiment of a boneless consumer culture gone mad! turbulent times call for flying at higher altitudes! surely we can do better! i mean, how long has it been since i first heard of you, turducken? a half dozen years? a dozen? and in that time has there been no improvement on you? for shame! do you think you are above betterment, turducken? did the Magna Canarda not stipulate that no bird is above the law? if we cannot better the turducken then, truly, the terrorists have won. here's what i am getting at: why stop at turkey, duck and chicken? why not squeeze another bird in there? why not a game hen? why not a quail? WHY NOT BOTH? we could, if we wanted to, go hunting where the deer and the antelope play. you know what i'm getting at: oh give me a home where the Buffacowostrurswaduckenenail roam. but then now we're starting to get silly, aren't we? you don't think this is funny anymore, do you? HAHAH! and i've got more! i can keep this up for hours! HEY! where are you going?! come back! ... i'll stop. i ... i promise. please come back ... i'll be good. I've had turducken (in Bethlehem at christmas no less) and IT WAS GOOODDD. More meat could only make it better. You're gonna do great when it comes time to sing "I know an old lady who swallowed a fly" to baby nice guy. Good practice. The idea comes from medieval England, or possibly the Romans, who started with a swan and ended with a wren... I can't imagine the horrors involved with creating it though. I'm sure if they'd thought of the Elephagirbuffacowostrurswaduckenenail they would have had a go at that too. The whole thing just grosses me out to no end, but it is kinda fascinating in a "Oh look! A horrible fifty car pileup that I cannot help but gaze upon" way. Actually, there had been improvement on the turducken. I had Turducken the day before thanksgiving this year. It seems to be the "it" bird for the season. I don't know, I could take it or leave it. I'd much rather have a buffalo stuffed with a cow barbequed under dirt over hot rocks for three days. That's holiday eatin. You are so dependable! A good laugh can always be found here. I think for the sake of political correcntess, however, you should find a way to make the whole thing from tofu... haven't you heard of tofurkey? Mmmmm.